There are countless reasons to book cheap flights from Newark to India. You will be surprised at the number of amazing attractions to enjoy in this remarkable country and one of the most fascinating places to visit in the world. Indian Eagle offers cheap Newark to India flights all year round and at incredibly discounted airfares. When you book EWR to India flights with us, you have the convenient opportunity to travel as you like, in the class of your choice, and at a time of your preference. So consider booking cheap flights to India from Newark with us and enjoy huge savings. India is known to be the second largest population holder and is also known to shelter vast varieties of cultural heritages. This country is home to innumerable scripts of the old, monuments and remnants, sculptures, and what not! It is a vault of cultural treasures and rituals you can see when visiting on cheap flights from Newark to India. Scores of religions, different languages, and diverse beliefs make India impressively unique and divergent. With India being such a huge place with flowing population, you need to know that this is no ordinary country with common places for tourists. If you haven't been to the villages and outskirts of India, then you haven't seen the beautiful rural side of the country. If you wish to see all of India at its best then you have to book some really cheap flight tickets to India from Newark. Look for some cheap EWR to India flights with us and let us know if you would like us to help you with the best price possible on flights and services. Think about booking Newark to India flights with Indianeagle.com to save more. You will benefit in a lot of ways as our offers and deals are not beneficial just for a shorter while but also for a longer time. Booking cheap flights from Newark to India with us will help you save massively. We keep our booking lines open all through the year so that you can travel at any time convenient to you. We also give you the option to compare airfares when searching for flights. You are sure to find the cheapest fare for your preferred route when booking with us. ARE THERE DIRECT FLIGHTS TO INDIA FROM NEWARK? Direct flights from Newark to India are among the most sought-after ones at Indian Eagle. Many travelers look for direct cheap flights to India from Newark to save on travel time. The amazing thing about booking Newark to India flights with us is that you will save not only on travel time but on booking costs as well. Apart from cheap flights from Newark to India, there are nonstop flights from Newark to Mumbai operated by Air India and United Airlines. You can book these direct EWR to India flights to make the journey at a single stretch without having to change flights. This is among the most popular flight options you will come across when searching for direct Newark to India flights. Newark is well-connected to various big cities in India such as New Delhi, Mumbai, Bengaluru. You can easily choose the most convenient route of your travel by reviewing a couple of itineraries at Indian Eagle. A cheaper and faster travel experience is always better! You can travel to India anytime you want as there are plenty of cities and villages to travel based on the different seasons experienced in the country. However, before you book cheap flights from Newark to India, ensure checking the weather conditions of the city you are flying to. For example, do not book your flights from Newark to New Delhi during summer, instead plan a trip to some place in the South in this season. In winters, you can choose cities like New Delhi, Mumbai, Kolkata, Rajasthan, Gujarat and many more. During monsoons, Kerala and Mumbai are perfect destinations to explore. Though Mumbai receive severe rainfall during monsoons, there is plethora of weekend getaways from the city to visit. WHICH AIRPORTS SERVE NEWARK TO INDIA FLIGHTS? When you book EWR to India flights, your flight will depart from the Newark Liberty International Airport. If you're booking cheap flights to New Delhi from Newark, then your flight will land at Indira Gandhi International Airport. If Mumbai is your destination when booking cheap flights to India from Newark, then you will arrive at Chhatrapati Shivaji International Airport. Similarly, there are international airports in other major cities which serve Newark to India flight route. Rajiv Gandhi International Airport in Hyderabad, Kempegowda International Airport in Bengaluru, and Cochin International Airport in Kochi (Kerala) are some other options you can consider when booking cheap flights from Newark to India. 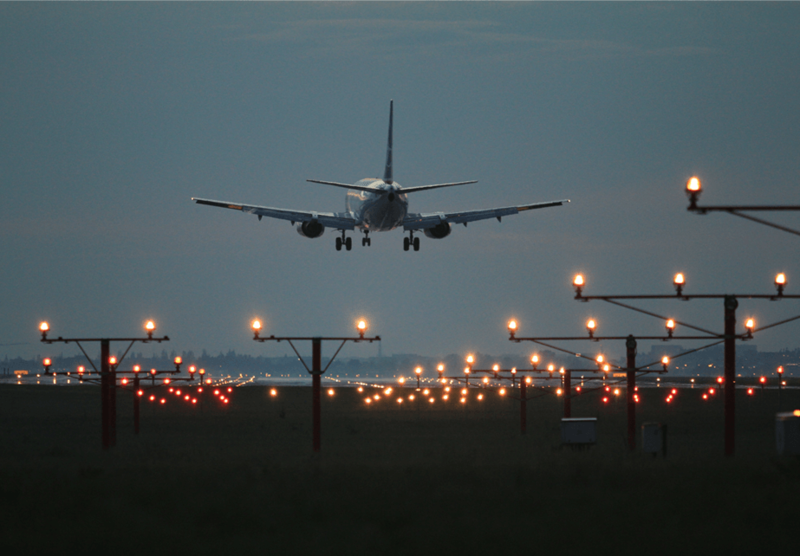 Most of these major Indian airports are well-connected to small domestic airports throughout the country. This gives you convenient access to even the remotest travel destination in India. Another thing to remember when booking cheap flights from Newark to India is that regardless of which major airport you are arriving in, expect to find topnotch services. Most of the major international airports in India have been fitted with world-class amenities to offer travelers utmost comfort. Take for instance the Indira Gandhi International Airport in New Delhi. It has an annual passenger turnover of more than 40 million and is home to one of the largest airport terminals in the world. Besides the classy ambiance, the Delhi Airport also offers a user-friendly app, scores of shopping ops, easy-to-comprehend signages, and a number of food outlets. Our business class flight deals are also among the best when it comes to booking cheap flights to India from Newark and other US cities. We book with reputed international airlines offering the best services to passengers at low airfares. Not only will you be able to enjoy a luxurious journey, but you will also be able to avail business class EWR to India flights at a price lower than the one offered by other travel agencies. Invariably, you will save huge when you book flights with us regardless of the travel class you decide to fly in! So when you book business class cheap flights from Newark to India with us, you can enjoy luxury travel for less! Indian offers exciting deals and offers in addition to the cheap last minute flights and business class flights, such as the Phone Only Deals, Secret Deals, Emergency Bookings, Reward Programs, Ease of Booking and some more.